Samim is also known as Chairman and Chief Executive Officer. Born into a Swiss-Iranian Family, he was exposed to a wide range of musical influences throughout his life. Soon after discovering his passion for electronic music through Hip hop and Industrial music, he started to develop and enhance his renowned Syncopated Patterns and Hypnotic Rhythms. In 2004, due to a serious cancer illness Samim was forced to take a break just to reappear shortly after, more determined then ever and ready to take the next step in his career. In late 2005 he relocated from Zuerich to Berlin, opening up a whole new range of musical opportunities. Samim immediately tapped into the Berlin scene, initiating his most productive time so far. 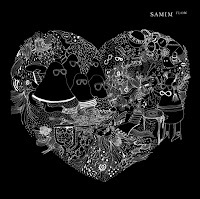 After intense touring madness, Samim returned to the studio to record his first solo album, "Flow" out Sept. 07 on Get Physical Music. Including the song "Heater". "Flow" is a thrilling exploration into the fabric of creativity, space and time - a powerful musical statement which sets the agenda for the next level of dance music. Party, Party, Party ... Still Time to Party!